Maruti Suzuki India Pvt. Ltd announced that the company had sold over 1 lakh units of hybrid vehicles in India. Known as Smart Hybrid Vehicles by Suzuki (SHVS), the technology is currently available with only two models in India – Ciaz and Ertiga. Maruti introduced the SHVS in India with Ciaz. It came amidst the infamous odd-even number ruling in Delhi-NCR. The hybrid technology helped the vehicle to be exempted from the ruling. The Ciaz also received a massive price cut due to benefits from Faster Adoption and Manufacturing of Hybrid and Electric vehicles (FAME) in India scheme. The Ciaz SHVS was introduced on 1st September 2015, and after seeing the rising popularity of the same, Maruti launched the Ertiga SHVS in October 2015. Both the models get tax benefits for being hybrid and have a huge advantage in the market because of the price. Maruti did not share the exact amount of the sales distribution of the Ciaz and Ertiga. As per reports, the hybrid percentage count for almost 60% of sales of the models. The introduction of the SHVS in Ciaz also helped it claim the top position in the segment for a long time. The SHVS in the Maruti Suzuki cars is a mild-hybrid technology. The system utilises an integrated generator and a high-capacity battery. The system gets charged while the vehicle is braking and then helps the car during acceleration by providing power from the battery. The system also improves the idle start-stop function by keeping all the electricals on while the engine shuts off automatically. 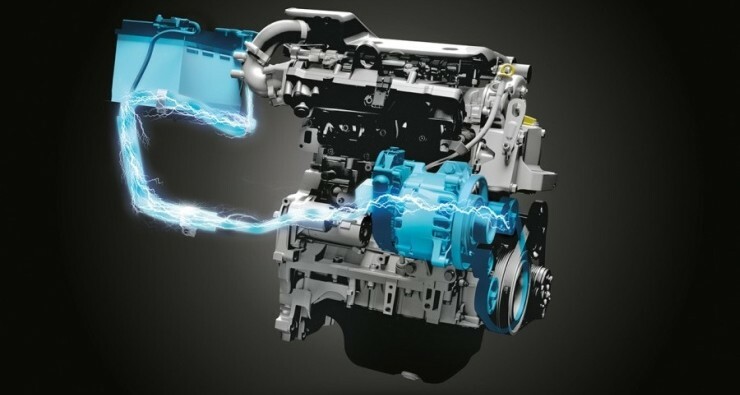 The hybrid system also improves the fuel efficiency of the vehicle drastically.